I like milestones to fall on significant days. 300 posts on the 2nd birthday of my blog is very pleasing to the OCD side of my brain. Plus its good to set a goal for consistent blogging each week- and this leaves room for some weeks to have more or less posts. Now on to more important things like The Bachelorette! Who watched the train wreck that was this season?? The finale was equal parts cheesy and gut wrenching-ly painful. I was never a fan of Ashley and I definitely think it was so wrong of her to let Ben get down on one knee and spill his heart out before she rejected him. NOT NICE! But I do think JP is so cute and I hope they can make it work. What do you say, over or under 1 year? I enjoyed reading the minute by minute hilarious commentary that my mom found here. So if you missed it this is a great recap. Now I wish they would get somebody totally NEW to be the next Bachelor. Some guy that has no past history on this show, please. The first part of the post had me saying, yes-that's Daddy's girl. But that second half is all me : ) Love you! Hhahahah I love that quote!! That describes me perfectly!! Great goals girl. 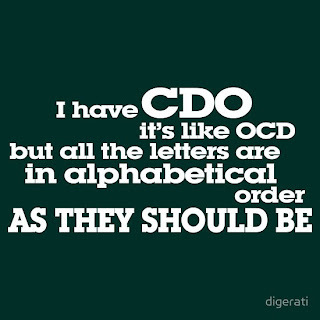 Yes blogging is a great way to feed the OCD side of my brain as well..it is such a great positive outlet right?! I hope you meet your goal.....post pictures if you have nothing....still a post! I couldn't watch bachelorette...she was a train wreck! I hope they get someone new and unknown! Have a wonderful week!